Another year, another birthday, another dessert! 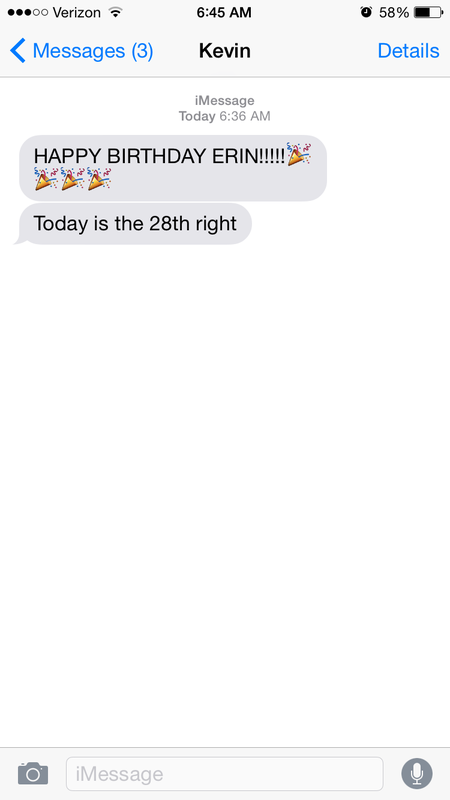 My first birthday wish came from Kevin. He beat my dad by 6 minutes and was quite proud of himself. Once I confirmed that he had the right date, of course. I had my final exam for my job training in the morning. How many exams have you heard me talk about? This was my last one for real. 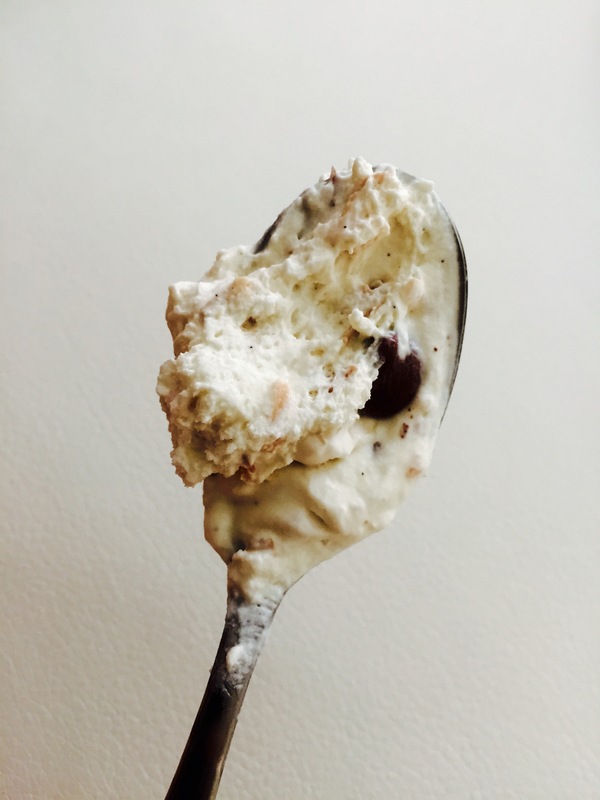 As soon as I was done, I zipped to Harris Teeter to get ingredients for this dessert! 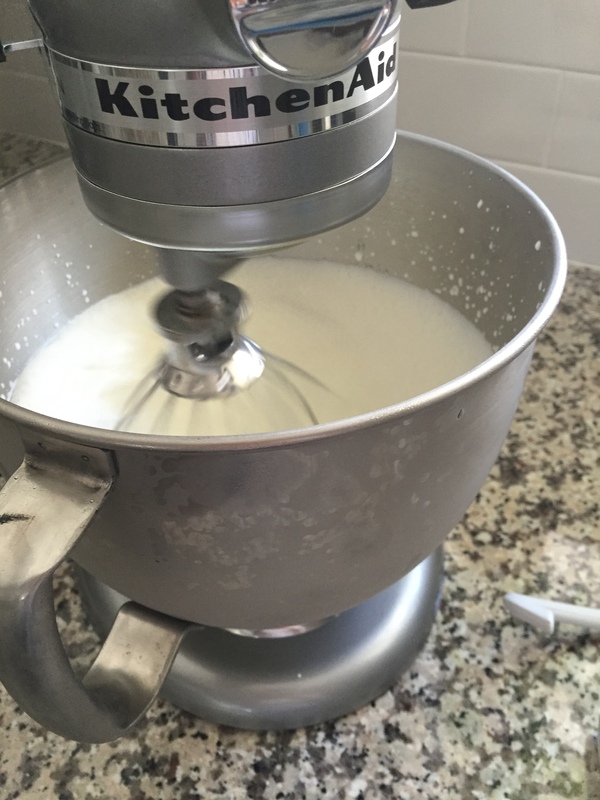 Making a dessert using Kelly’s new Kitchen Aid (!!! )- check. My favorite Baltimore beer (Union Duckpin Pale Ale) at my BFF Ian and Meg’s house- check. 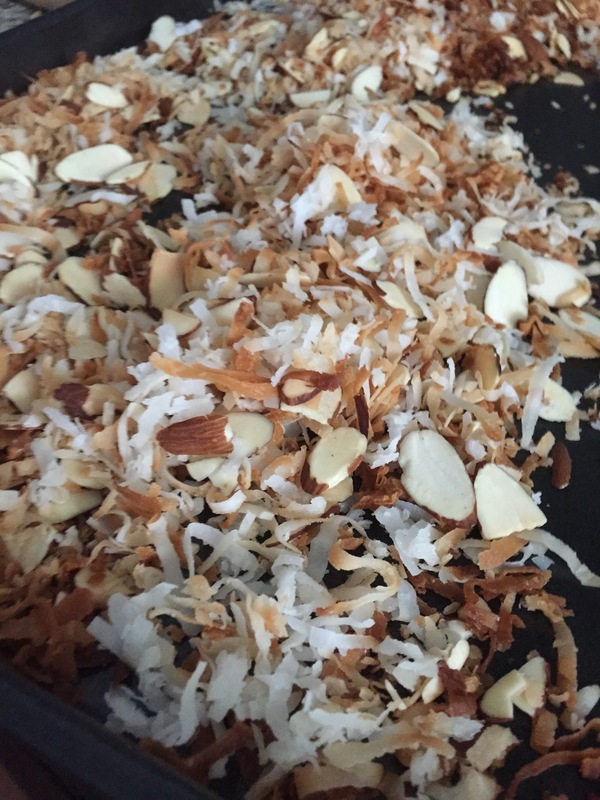 Spread coconut and almonds on a baking sheet, and toast at 350 degrees until golden brown (about 10 minutes) flipping half way through. Set aside to cool. Place a stainless steel bowl in the freezer for about 30 minutes. 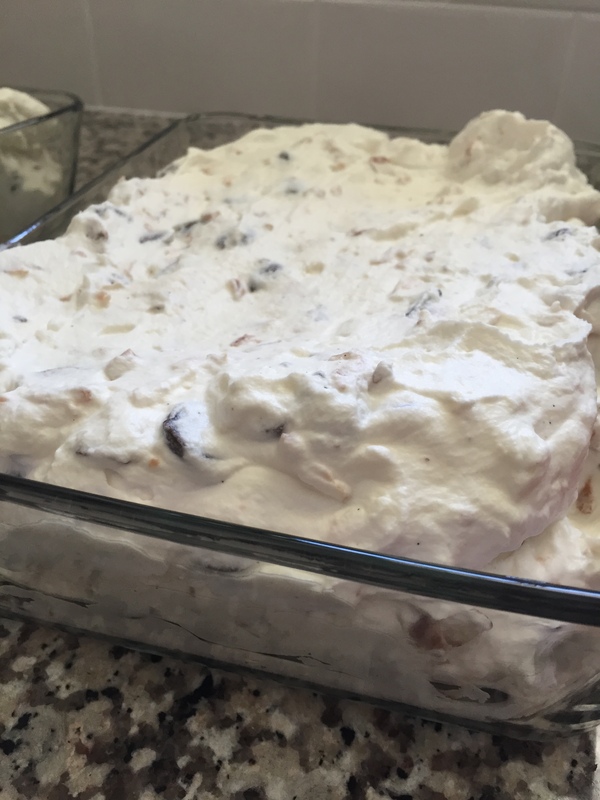 Pour in the heavy cream and the almond extract, and whip until you see stiff peaks. 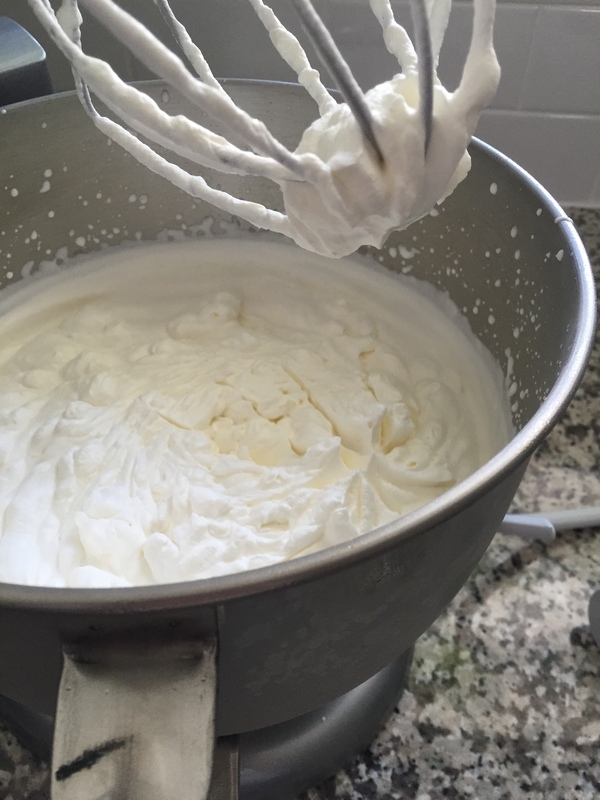 Fold in the Greek yogurt until combined. 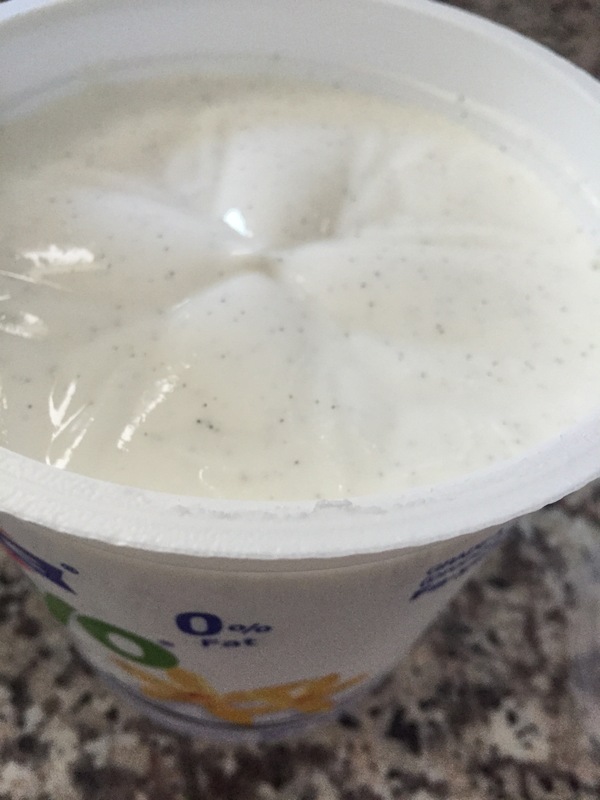 I like the FruYo Greek yogurt because it’s not overly sweet, and I like the little vanilla bean flecks. Even if they’re fake. The effect is nice. 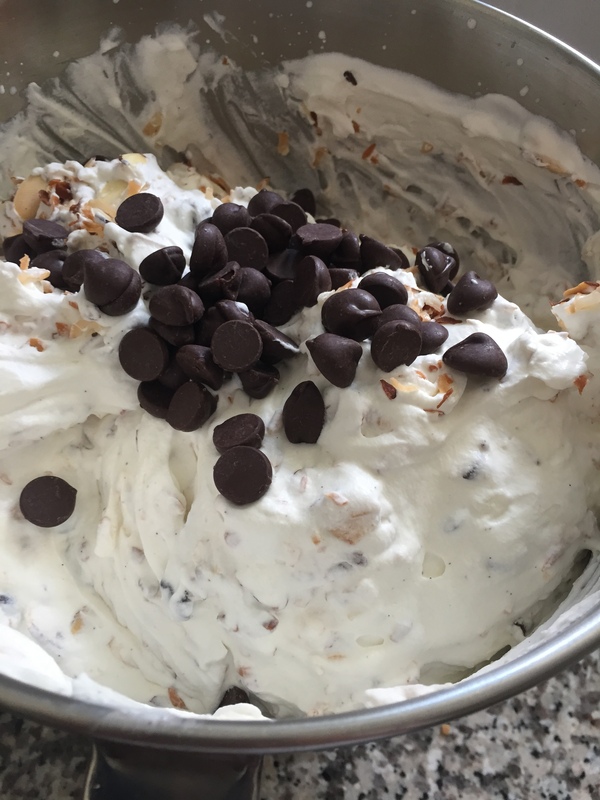 Fold in the coconut, almonds, and chocolate. I chopped some of the chocolate and left other pieces whole. I added a lotttt of toppings because I wanted every bite to have something. Hire me, Ben & Jerry. Pour into shallow containers- I used two Pyrex containers, you could also use a bread tin. Freeze for 6-8 hours. I think our freezer is a little too cold, so when I first pulled this out it was hard as a rock and not scoop-able like ice cream. Once it softened a little it was a better texture. The GS said it tasted “healthy” but I think this is a good thing. It’s a little tart from using Greek yogurt, but the coconut, almonds, and chocolate make it a good level of sweet. I have about 10 pounds of it so I’ll be celebrating my birthday until further notice.